Introducing the new Conan motion sectional by Steve Silver. This sectional is great for your living room to maximize space as well as create additional seating area for your family and guests. 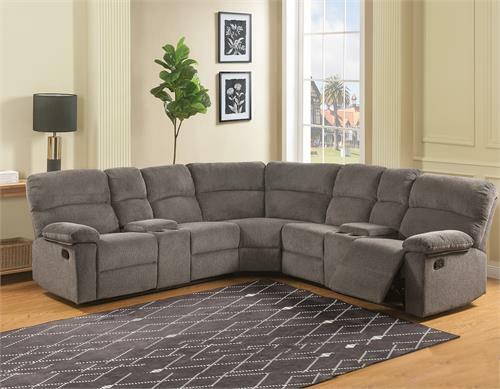 The Conan offers very plush seating upholstered in a soft and textured gray chenille. 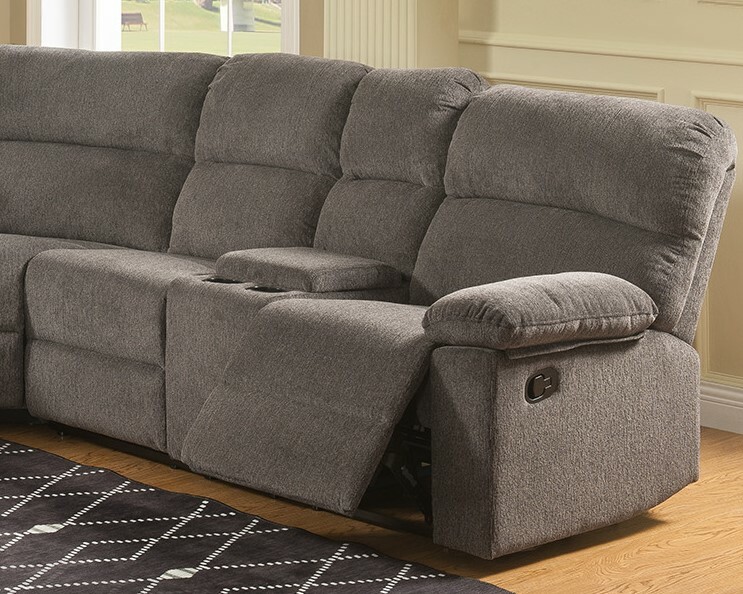 Each loveseat features a console with cupholders and hidden storage. 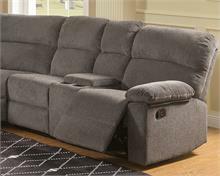 The outside left arm and right arm facing loveseats recline easily with the outside arm pull lever.